The Horses English — H.O.P.E. 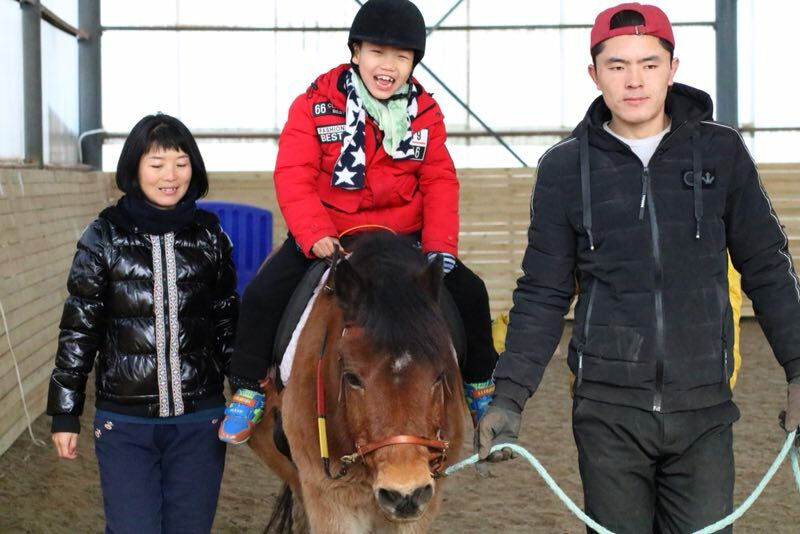 Da Bao (English name, Li) is a 28-year-old Gotland pony, who came to China from Sweden many years ago. He is the oldest (and wisest) member of our herd. Without any bias whatsoever, we can say this wise fellow is the perfect pony for HOPE. Kind, cuddly, very patient, and relaxed, yet he has positive energy and good motion. 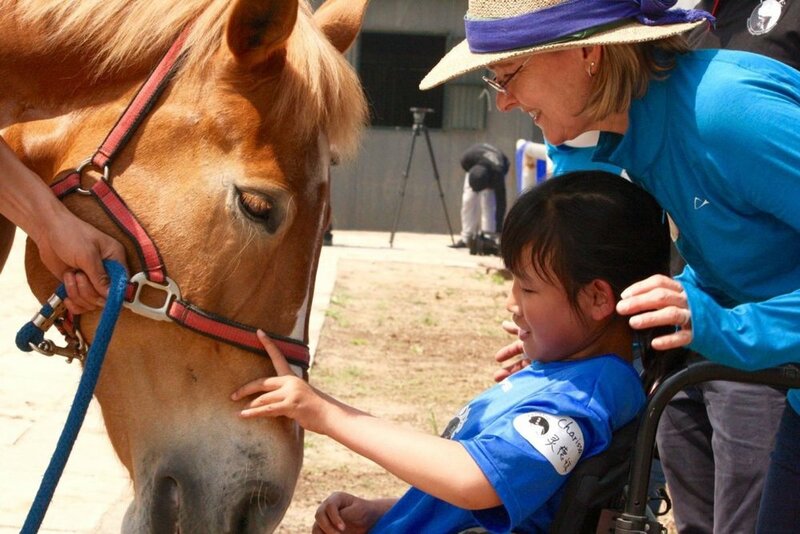 He is a very experienced therapy pony contributes to his rider’s confidence. Mu’er is a 10-year-old Chinese draft horse. She is a kind, big horse with an even bigger personality! She really would love to be… a “lap” horse, so we have now made it clear that since she is bigger than us, she must stick to her space. Nothing much scares Mu’er as her former job was a movie star! She was part of a team of horses that pulled a wagon in the Matt Damon and Willem Dafoe movie “The Great Wall”. She understands that one might do things slowly and, as a matter of fact, that is how she would choose to operate! She expresses herself clearly – which is delightful for all who interact with her. Hei Shan (English name, Black Mountain) is a Chinese version of “Black Beauty”. A 14-year-old, he joined the herd in the middle of the 2017 summer camps and took on the job like a real trooper. 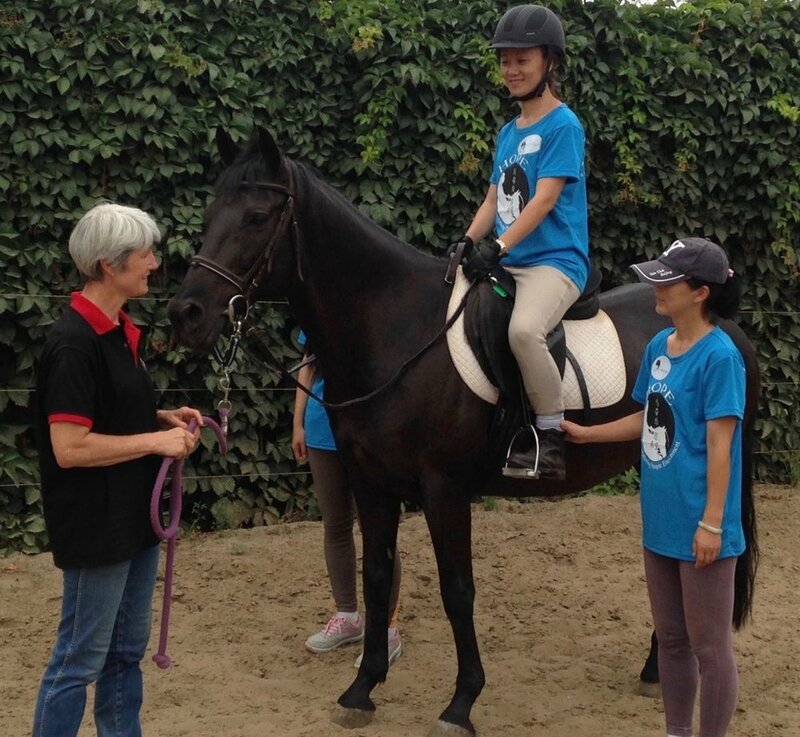 He was very well trained as a school horse and has an exceptionally kind personality. He is a little shy, even cautious at times, but is desensitized and really takes care of our riders with special needs. In fact, he doesn’t mind being led from a wheelchair, and understands when being gentle is required. Hei Shan is pictured below during his training period.